Although highly successfull in racing during the twenties, the Duesenbergs fared less well in market place and in 1927 fewer than 700 models had been built. In the meantime, Auburn boss Erret Cord had acquired the company and instigated the programme that would result in one of the greatest automobiles in history. When launched in 1929 at New York Auto Show, the Model J was the most powerful American car made, its twin-overhead-camshaft, 32 valve, straight eight engine producing a claimed 265bhp in un-supercharged form. Great performance despite its great size and weight: 142 to 153 inches(360 cm to 388 cm) wheelbases, and 5000lbs (2500 kg). The Model J was endowed with great performance: top speed was 116 miles per hour (187 km/h) with 90 mph ( 151 km/h) reachable in second gear, making the Duesenberg one of the fastest road cars of its day. At 8500 $ the chassis price comfortably exceeded that of the most expensive custom bodied Cadillac. 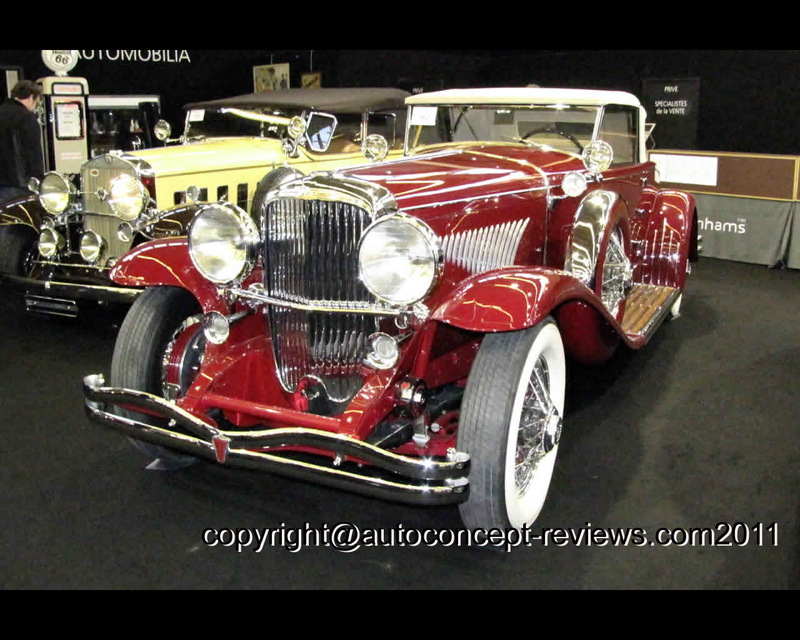 A firm best remembered for its magnificient creations on the Duesenberg chassis, Murphy was responsible for bodying around 25 percent of the production of the Model J and its derivative. One of Murphy most popular offerings was the Convertible Coupé with "disappearing top", a design that enabled the convertible top to fold down into a cavity within the bodywork, which was covered by a flush-fitting panel. The major disadvantage of the 'disappearing top" was that it took up valuable space within the body. John Mackinney had growing children and so opted for a design with a non-disappearing top for chassis 2239. Terry Radey acquired the car in 1977 and immediately commissioned a restoration to concours standards. This restoration took three years to complete and in 1980, chassis 2239 won the "Best of Show" award at the ACD meeting in Auburn, Indiana. The following year, (1981) the ex Mackinney Duesenberg was judged 'Best of Show' at the prestigious Pebble Beach Concours, the event's top award and one of the highest accolades a classic automobile can receive. 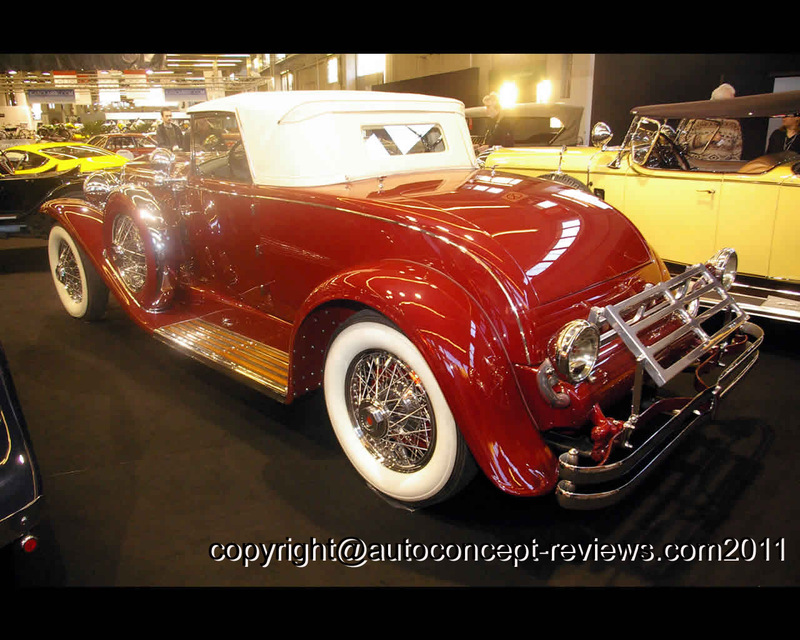 The car won many other Concours trophies, including "peoples choice" at the Luis Vuytton Classic in Paris, France 2002 and "Best of Show" at Antwerp Classic Show 2007. In excellent driveable condition, the car is actually registered in Netherland (2009). 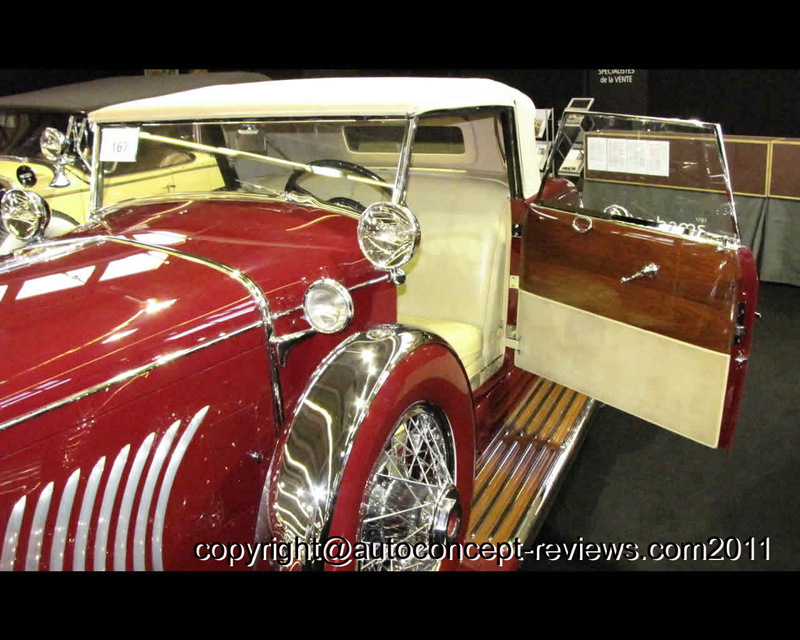 This war was presneted at Bonhams auction during Rétromobile 2009 show in Paris.